Ready to use blintzes. 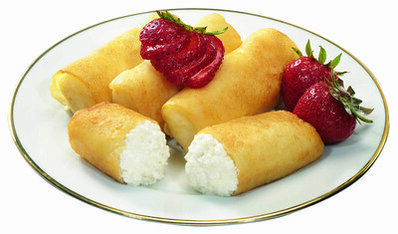 Fill them with cheese and fruits to create delicious breakfasts or desserts. Heating instructions: Heat filled blintz in the microwave for 30 seconds or in a pan with butter until golden brown.